How can I speed up the transition process? For people with particularly oily or waxy hair, hair prone to tangling, or hard water, a rinse may be used before, during, or after shampooing with a natural bar soap. While rinses of herbal teas, lemon juice, citric acid, or other natural ingredients may be used, the most common rinses use apple cider vinegar or baking soda. Herbs or essential oils can add to the rinses, but are not necessary. Here we will share two basic rinses to get you started. 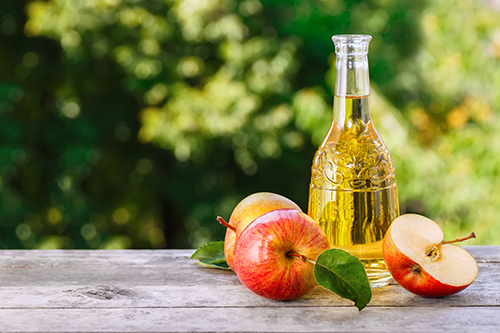 Apple cider vinegar assist in preventing tangles and frizz, producing more volume and shine, decreasing built-up residue, and may help decrease dandruff and with excessive shedding. Some people may apply this rinse every other day, others once or twice a week, and still others may only need it once or twice a month. The amount of vinegar used depends upon your own needs, but a good starting point is 1 part apple cider vinegar to 3 parts water. Dry hair tends to need less vinegar, while oily hair may require more. Add the mixture to a plastic squeeze bottle, sprayer, or whatever other container you have handy. Apply the vinegar rinse to wet hair after using your shampoo bar. Massage the rinse into your hair and scalp. Allow the mixture to sit for a couple of minutes. From here, you may choose to either thoroughly rinse the mixture, lightly rinse, or leave the mixture on your hair. Note that while your hair is wet, it will smell of vinegar, but once dry the smell usually goes away. 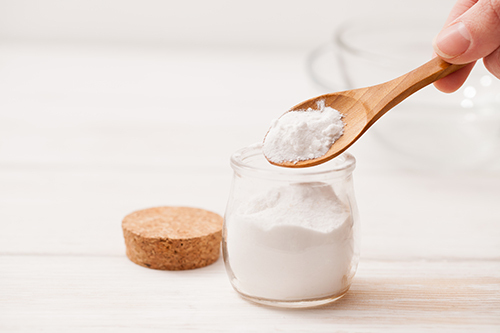 Baking soda is particularly good at removing residue due to buildup cause by synthetic chemicals or hard water. It can also help remove chlorine from hair. Method 1: Sprinkle baking soda on damp hair and lather, then rinse. Use your natural shampoo bar. Method 2: Sprinkle baking soda onto the shampoo bar, or dip the shampoo bar into the baking soda. Use shampoo bar as you normally would. Method 3: Add baking soda to a quart of warm water. Apply to hair as is or spray from a squirt bottle. Lather and rinse, then use your shampoo bar as usual.